Let’s begin with some general pointers. 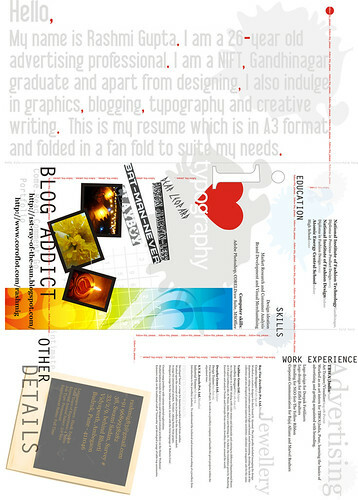 Your name, home address, phone number, and e-mail address should be on top of the resume in a professional-looking font (Have a look at these to get some ideas: http://sixrevisions.com/resources/professional-clean-fonts-designs/ and http://www.smashingmagazine.com/2007/11/08/40-excellent-freefonts-for-professional-design/. It’s acceptable for your name to be boldand a larger font than the rest of the resume content. Try to keep your resume to a single page, if possible. Prospective employers receive numerous resumes so they might not read beyond the first page. Many resumes usually contain four to five sections. Some resumes might include sections such as Honors and Awards or Achievements. Concentrate on these sections: Career Objective, Education, Experience, and Skills. Education. This section is an important part of the resume for paralegals who have just completed their education. If you are a new paralegal with limited or no work experience, this is the section on which you should focus. Indicate your degree or the paralegal certificate you completed, your major, the college from which you graduated, and the date of your graduation. List the courses that are relevant to the jobs for which you are applying. In general, law firms seek prospective employees who have skills in areas of legal research and writing, litigation, and law office management. You should expand on any leadership or academic activities in this section. List memberships in all student, professional, or academic organizations. Emphasize leadership positions and highlight respective duties and achievements while you served in those leadership roles. If you were a member of an organization but didn’t hold a leadership position, describe how you contributed to the organization’s achievements. Include all activities in your resume showing initiative and leadership qualities—characteristics that all employers seek in a prospective employee. If you have earned academic achievements such as the dean’s list or various graduation honors, emphasize them in your resume. t each and describe the roles you played and functions you performed. Skills. This section of the resume focuses on special skills you might not have highlighted in other sections. Describe any special expertise using any computer programs or using any legal research tools. Are you proficient in a foreign language? However, be completely honest in assessing your proficiency—don’t exaggerate your ability. For example, don’t claim to be fluent in Spanish if you can only read—and not speak—it. It’s still okay to claim you can read Spanish, just don’t overstate any special ability. This entry was posted in Career Guide and tagged Employment, Résumé. Bookmark the permalink.